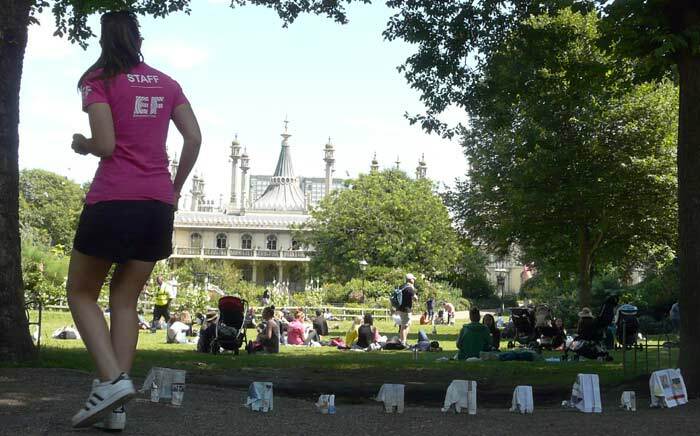 Performance by Sonja van Kerkhoff, Pavilion Gardens, Brighton, U.K.
During the hour long walk, only about 6 or 7 people approached me and so for most it functioned as a a light-hearted intervention, as I moved each elephant bearing Dutch, French, Italian, English text was moved in turn to the head of the passing caravan. At one point some gulls tried to take a few of the elephants and people rescued them for me. 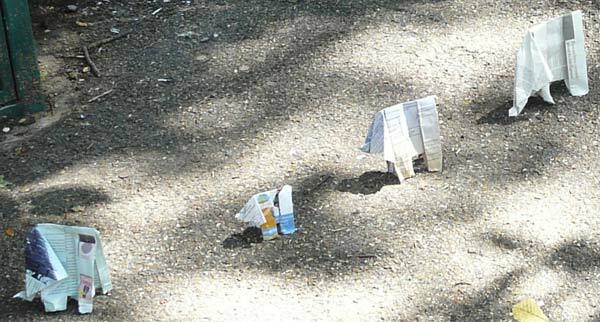 Gestures such as this are demonstrations of our common humanity: caring about the other, even the origami newspaper elephant.